QM32-Cable - IDC50 Female to DB25 Male and DB25 Female. QuadMod32 Board Ribbon Adapter Cable. 24 Inches. 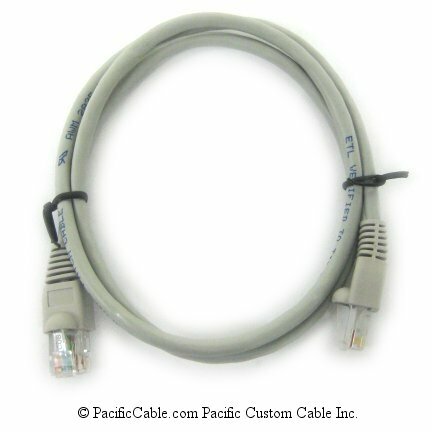 QM32-Cable – IDC50 Female to DB25 Male and DB25 Female. QuadMod32 Board Ribbon Adapter Cable. 24 Inches. IDC50 Female to DB25 Male and DB25 Female. QuadMod32 Board Ribbon Adapter Cable. 24 Inches. The QM32 board has one 50-pin male IDC connector. 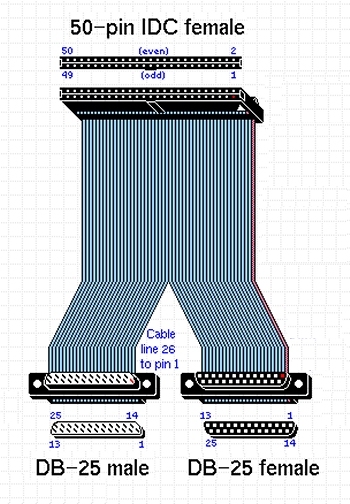 This ribbon cable connects that to other equipment. 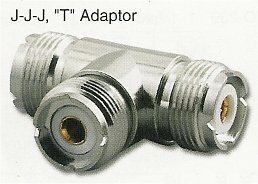 The DB25 Female connector is for the laser projector - it carries X, Y, Z and color signals. The DB25 Male is for input / output devices - it carries TTL level signals that can switch various devices on or off.